As guitarist of the Bay Area legends Exodus and Slayer, Gary Holt is one of the pioneers of Thrash Metal. So that he can realize his solid riffs and virtuoso solos precisely, the metal specialists of ESP with the ESP LTD GH-600 Black tailor a signature electric guitar to his body, which turns out to be a pure heavy guitar in sound and appearance. The combination of glued mahogany construction and active EMG humbuckers provides powerful sounds with tight precision, while Floyd Rose tremolo and Grover tuners can play even the most aggressive Whammy Bar uses without detuning. The ESP LTD GH-600 Black convinces thanks to EMG humbuckers and Floyd Rose tremolo as a real electric guitar for metal. Based on the popular ESP Eclipse singlecut design, the ESP LTD GH-600 Gary Holt Signature electric guitar features a mahogany body glued to the mahogany neck. In combination with the noble ebony fingerboard, the electric guitar provides a pressing basic sound for crushing riffs and neatly articulated light speed solos. Gary Holt wanted the proven "Thin U" neck profile, which combines impeccable playability and a pleasant feel. The large split block inlays in the fretboard and the red bindings around the body, fretboard and headstock are also visual highlights. Since the first days of his successful career Gary Holt swears by active pickups from EMG. 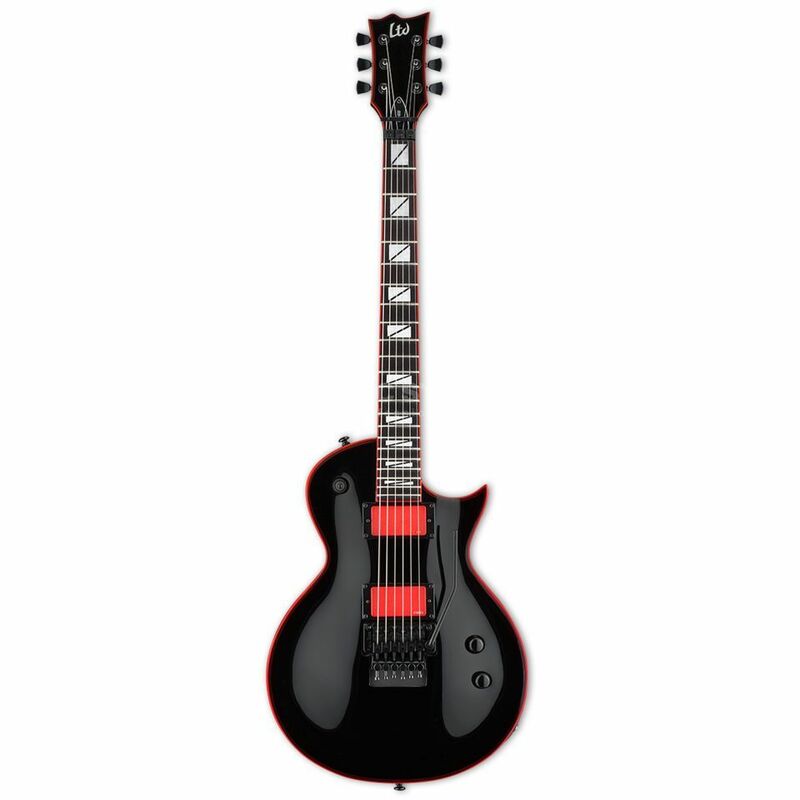 Accordingly, the ESP LTD GH-600 Black is also equipped with its EMG GH set, whose striking red caps are used for the first time on an electric guitar for the masses. On the bridge, the EMG 81 Humbucker is a true legend among metal pickups, whipping every note played through the band sound thanks to tight bass, focused mids and poisonous highs. The EMG89R on the neck on the other hand convinces with its tonal variability between warm singing humbucker and the transparent belliness of a single coil, as it combines both pickup types with separate preamps under its cap. In addition, the ESP LTD GH-600 offers high-quality hardware that completes the equipment of this signature electric guitar. The classic Floyd Rose tremolo has always belonged to a real metal axe as it takes even the most aggressive dive bombs and bloodcurdling squeals without detuning the strings. Furthermore, it convinces with its smooth handling and indestructible functionality. The headstock is also equipped with Grover Rotomatic tuners, whose Tulip grand pianos fit harmoniously into the appearance of the electric guitar.